Our reputation for innovation, world-renowned Bosch quality standards and excellent value for money sets us apart when it comes to heating. Worcester keeps more families warm than any other brand in the UK, and it is these very homeowners whose votes have won us a Which? Best Buy award for six years running for our Greenstar gas boiler series. Consistently reliable heating for our customers is not just about first class manufacturing and stringent testing. We also train and accredit installers to ensure expert installation and first-rate service and support. 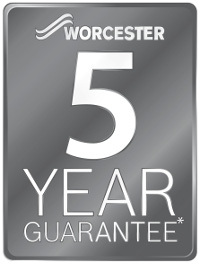 Part of the Bosch Group – All Worcester products are manufactured with Bosch levels of quality and reliability as standard. Our reputation for innovation, world-renowned Bosch quality standards and excellent value for money sets us apart when it comes to heating. Consistently reliable heating for our customers is not just about first class manufacturing and stringent testing. We also train and accredit installers to ensure expert installation and first-rate service and support.